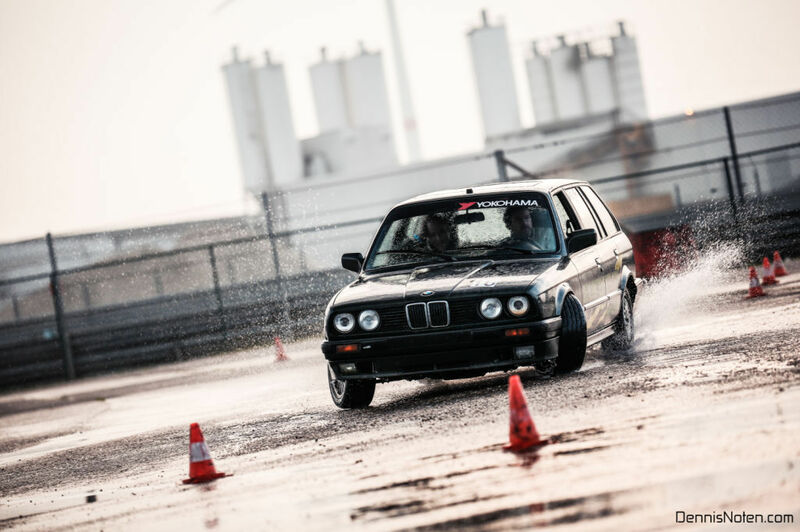 The Skylimit Drift School contains an excellent lesson plan, challenging tracks, and lots of track time. 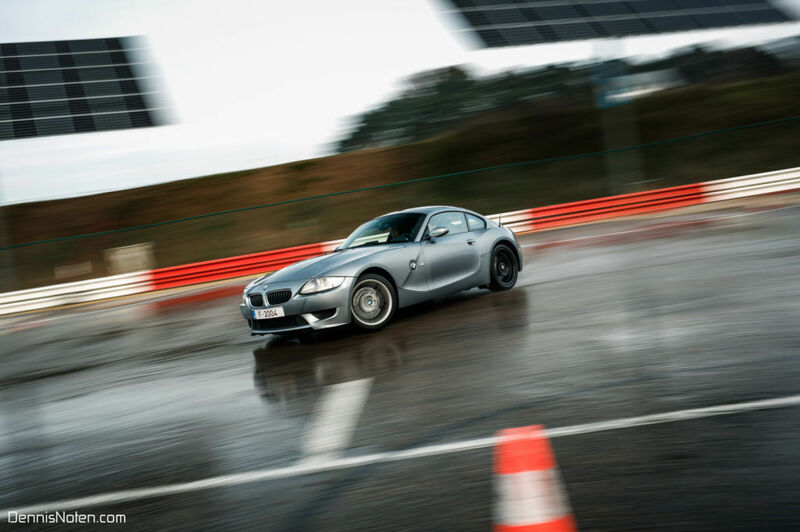 We organize these activities at the Zolder facility on a wet paddock. The goal is to have beginner and experienced drivers drift in a reliable and predictable setting, supervised by experienced instructors. 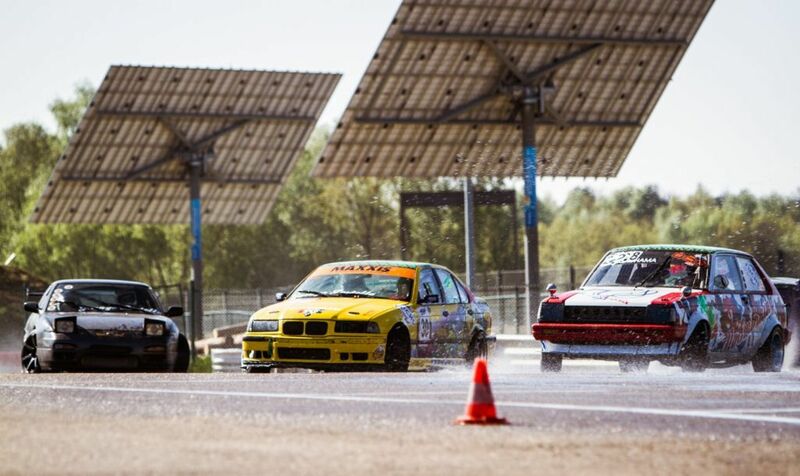 Almost all the top Dutch and Belgian drifters started their drifting careers at Skylimit Drift School! 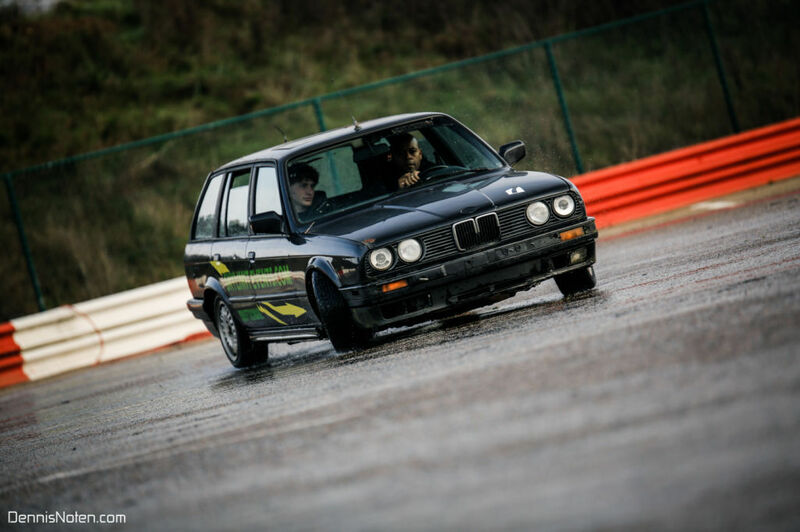 Drift school with your own car: €175 per person. One extra person per car pays an additional €25. 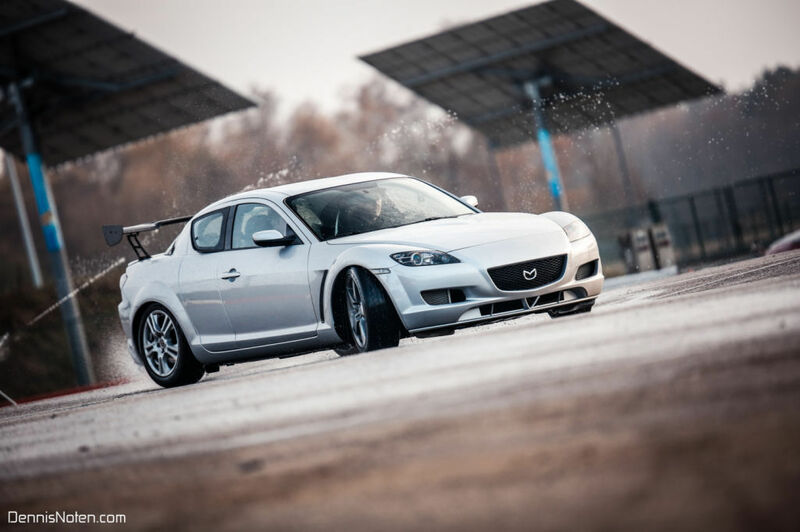 You can also enter this drift school with a rented car. Formula 2: Car shared with 1 other driver, €375 p.p. Formula 3: Car shared with 2 other drivers, €250 p.p. Paddock 0 (zero) has become a well-known concept in Belgian drifting. 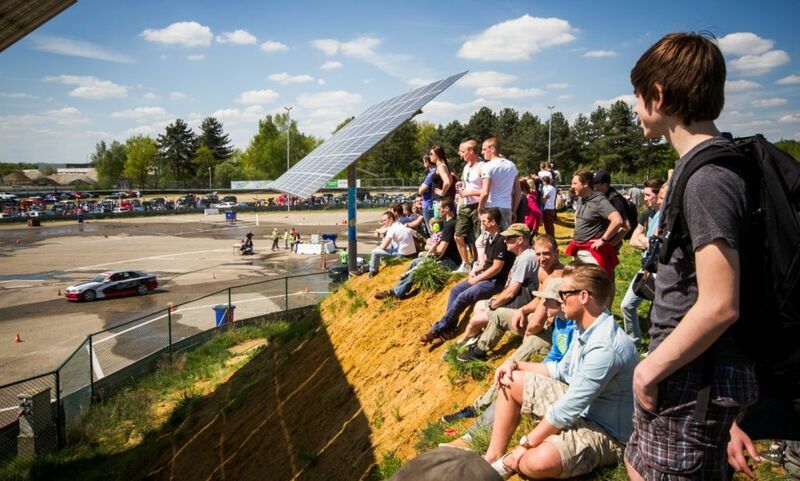 This terrain, situated on the Zolder track site has been the ultimate location for drifting lessons since 2003. This area of asphalt is primarily used for going sideways, rather than in a straight line. Apart from our fixed layout for our drift school, we adjust the drift track for every Drift Cup. At first sight, the track seems to be flat but small differences in the surface result in a tricky higher level of difficulty for the drifters. We try to reduce tire wear by keeping the paddock wet at all times during drifting. Drifters such as Kevin Corsius, Remmo Niezen, Joost Van der Ende, Randy Congedo, Rick Van Goethem, Kurt Van Doorslaer and Danique Aelaerts all drifted their way through the Drift Cups on this terrain. 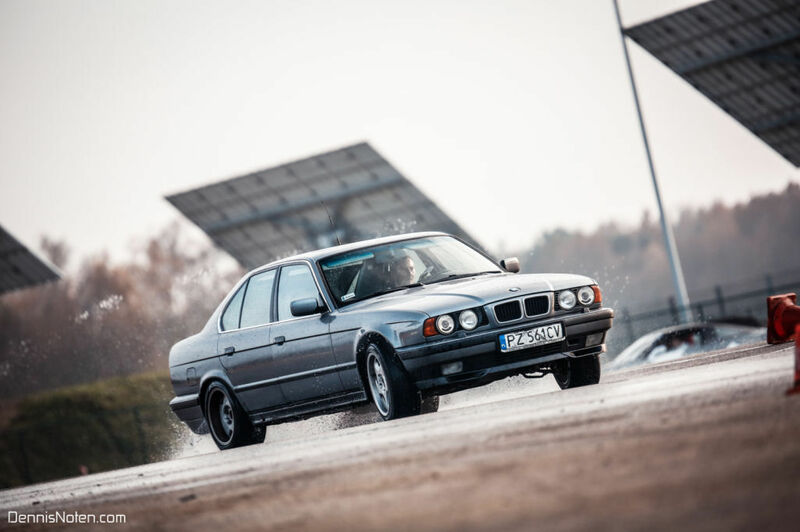 Our drift school attracted many drifters, not only from Belgium and the Netherlands, but also novice drifters from Germany, Denmark, France, Switzerland, Greece and even Latvia.